We believe in the wisdom of the body and listening to the unique needs and goals of each individual and family. Our educators and practitioners offer a wide array of classes, workshops, support groups, couples counseling, and individual healing in the field of holistic health and wellness support. Our goal is to raise our collective vitality by supporting each other to meet our individual goals. We believe that all families should have the opportunity to learn and thrive together. Our commitment to families and building community means offering a variety of family focused workshops and educational classes that support and bring families together from the Excelsior District and beyond. We believe that everyone is a teacher and a lifelong learner. 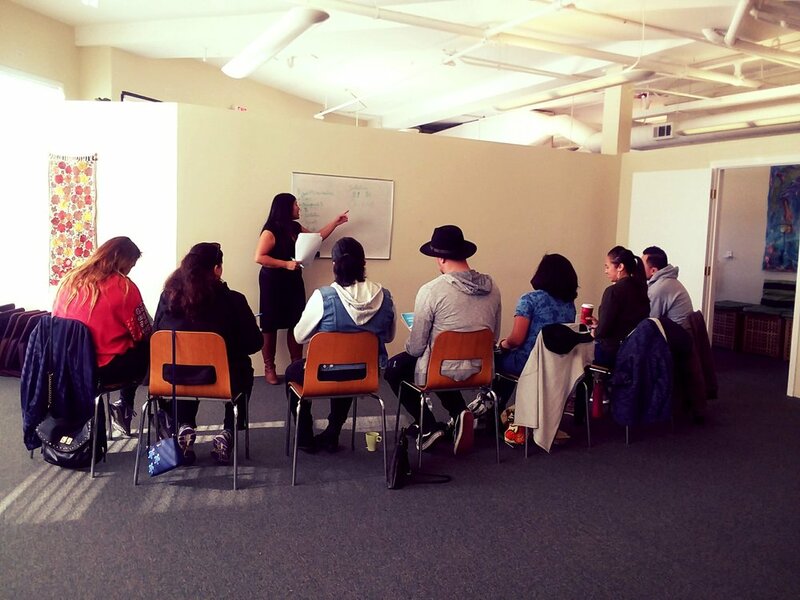 We support health & wellness professionals, those training to be prenatal professionals, healers, and community members by offering educational workshops to help them cultivate and hone their skills. We believe that pregnancy and childbirth are wonderful, natural events that can be enhanced by knowing what to expect and by creating a calming atmosphere for mother and baby, both before and during childbirth. Our educators and practitioners offer a wide array of classes, workshops, support groups, and individual support to meet the needs of mothers at every stage of motherhood. We draw on the wisdom of our mothers and grandmothers and embrace practices that have been used successfully and humanely for hundreds of years by midwives, nurses, doulas, and other birth attendants all over the world. We work side by side with medical care providers to create webs of knowledge and support that feel accessible to all mothers. Our services are provided on a sliding scale and include some donation based and free programs. At Community Well we believe in strong partnerships and mutual aid. We refer our families to other community based programs, private practitioners and hospitals in San Francisco and work in collaboration to provide the best care for each unique Mother and her family. Community Well offers free community programming as we believe it is important to open our doors to our neighbors and gather in community. Our programming includes a range of offerings from wellness classes to legal seminars, reading groups for toddlers and clothing swaps. Our goal is to raise our collective vitality by supporting each other to meet our individual goals. It's all about community!